We're a Residential Redevelopment company looking for houses to buy in your area. ANY size, location, condition, and price; we're ready to buy. We can make you a fair cash offer and close quickly. Let us help you! 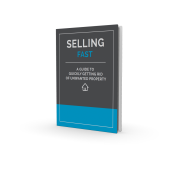 You'll also get immediate access to our FREE report, "SELLING FAST: A Guide To Quickly Getting Rid of Unwanted Property," which has 7 tips for selling your unwanted property. Get your FREE report, "SELLING FAST: A Guide To Quickly Getting Rid of Unwanted Property"
© Polished Rock Homes LLC All Rights Reserved.